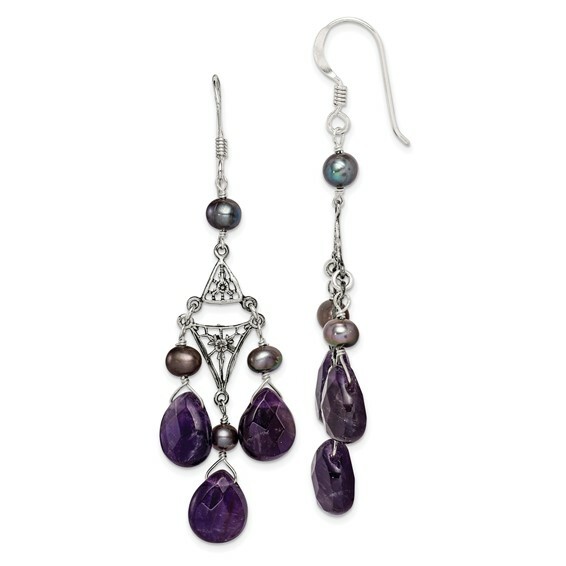 Sterling silver amethyst and freshwater cultured peacock pearl earrings. Weight: 6.19 grams. Measures 2 1/2 inches tall.